﻿ Patio covers by JNR Home Improvements are designed to meet your needs. Whether you are interested in creating an outdoor shaded space for entertaining, or designing a freestanding pergola decorative accent, we are here to help. 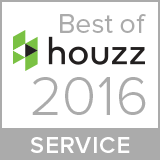 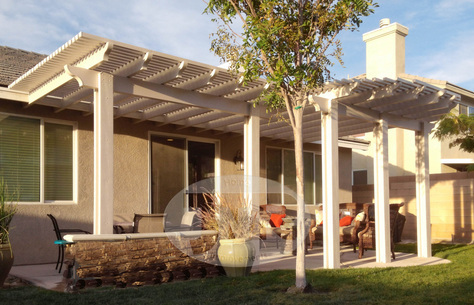 Our design consultants can help walk you through the different options available to you. 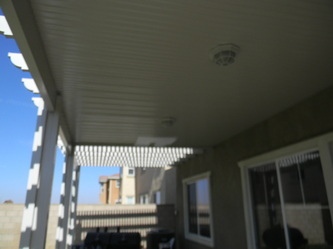 Solar patio covers by JNR Home Improvements can help completely eliminate your electricity bill. Our solar patio covers are custom designed and engineered for your home. 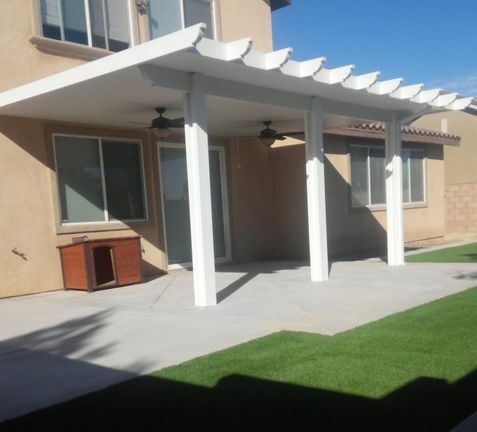 We help create a beautiful, low maintenance outdoor space with our EnergyStar rated insulated patio cover while reducing your utility bills. It is the best way to incorporate solar energy without the risks associated with having panels mounted the roof of your home. You will not have to worry about drilling holes through your roof with our solar system. You can have piece of mind with our solar patio covers knowing that you will never have to deal with re-roofing beneath the panels or worry about potential water damage from a roof system attachment failure. 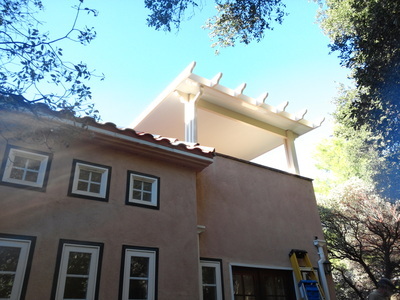 Call now to find out if your home qualifies for this innovative solar energy solution. 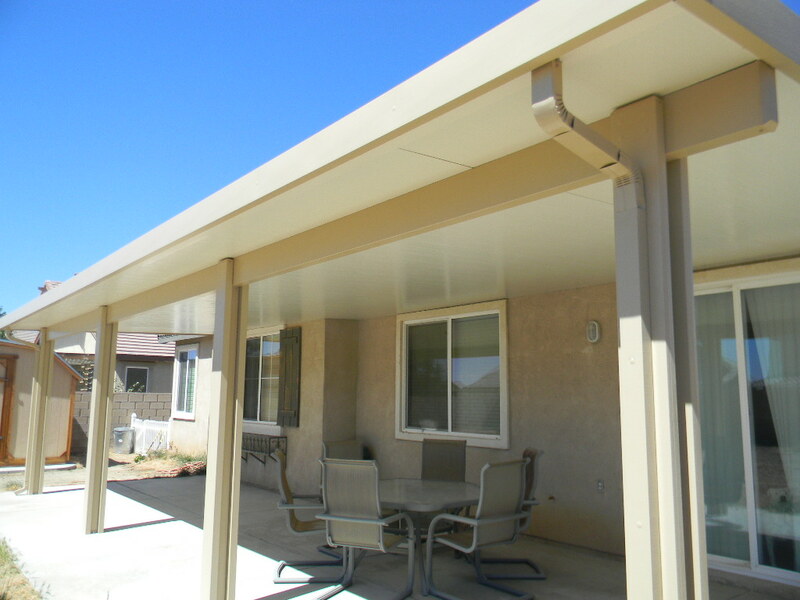 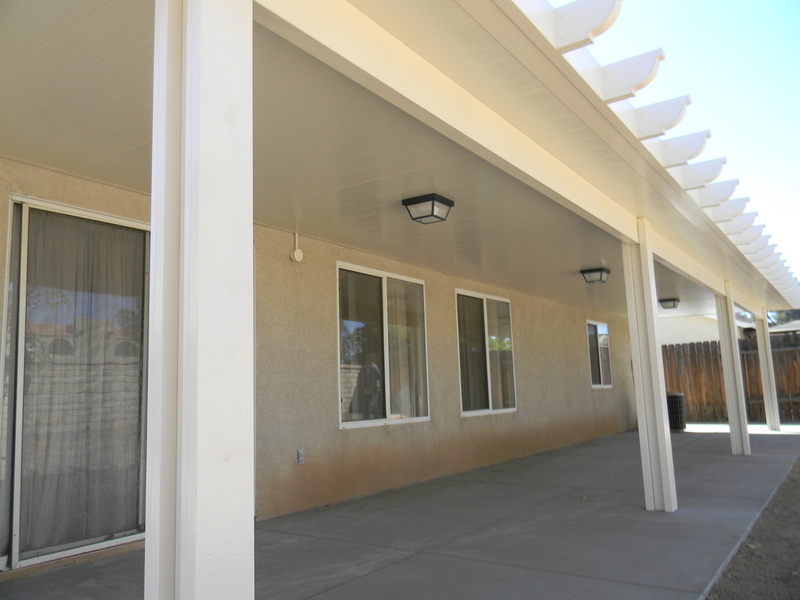 Our most popular option in the Antelope Valley and surrounding HIgh Desert areas is by far, the insulated roof, solid patio cover. 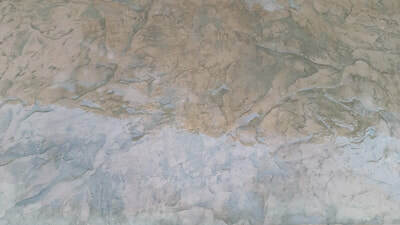 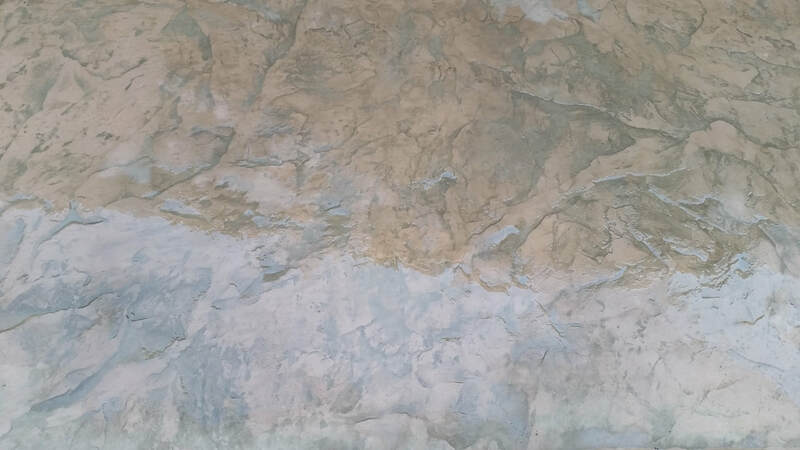 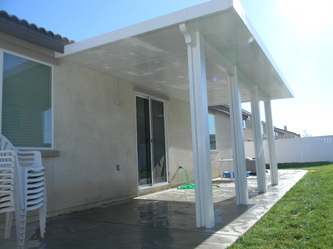 This style patio cover has a laminated foam core, providing fantastic insulation. 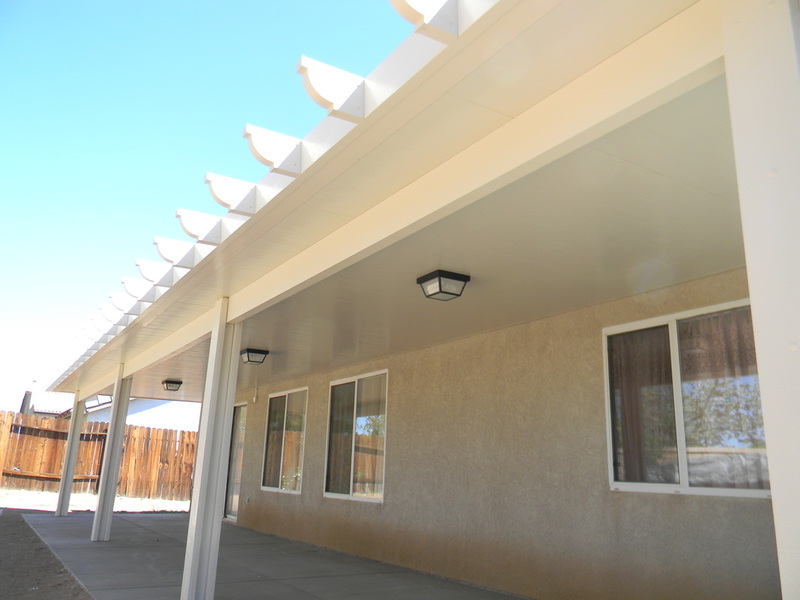 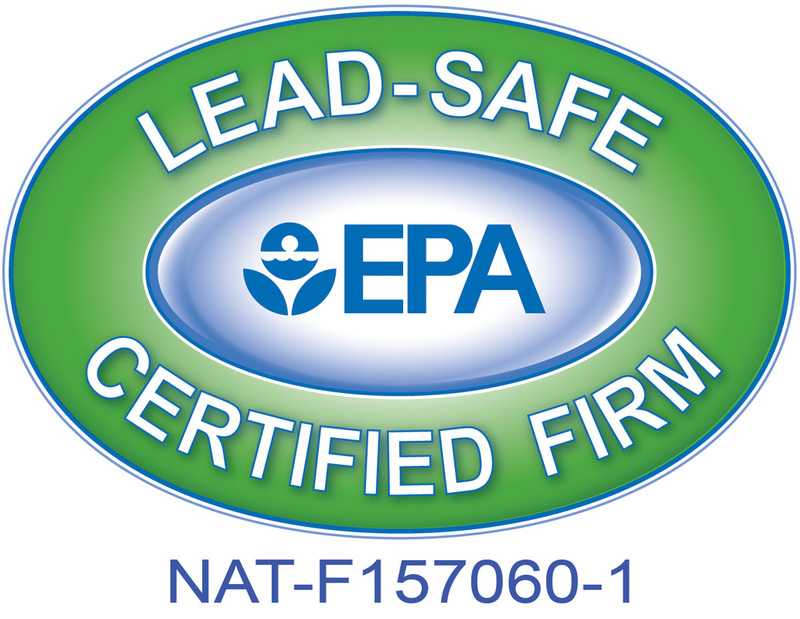 Our insulated roofs are so efficient that they have earned an Energy Star rating! 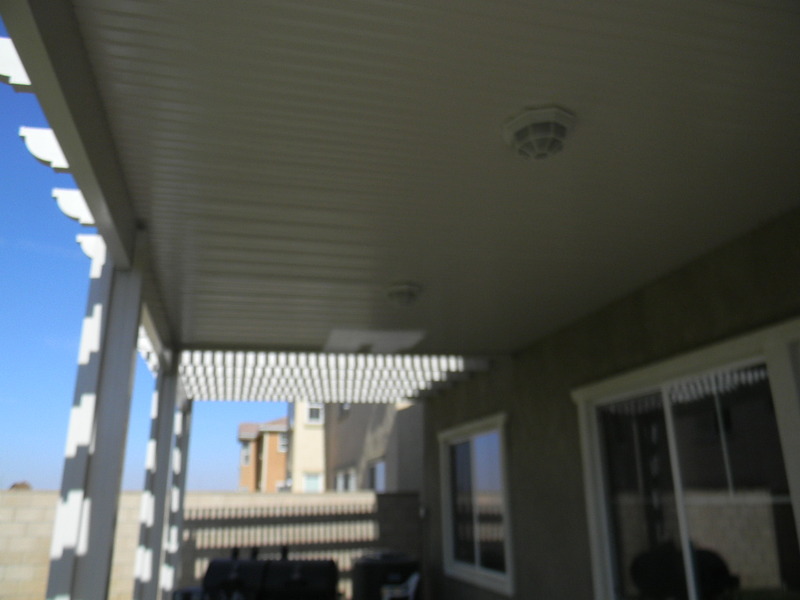 This core eliminates heat radiating through your cover for a cooler experience. 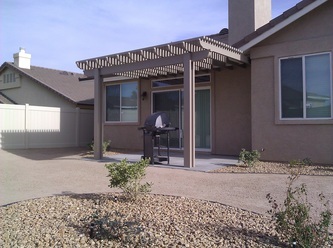 Many wood patios have dark asphalt shingles that actually absorb the suns heat, radiating it right down into a homeowners outdoor space, making it uncomfortably hot. 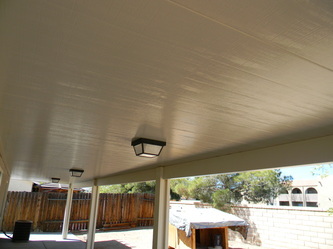 An insulated roof by JNR Home Improvements will create a cooler patio. This actually can help keep your home cooler in the summer as well. 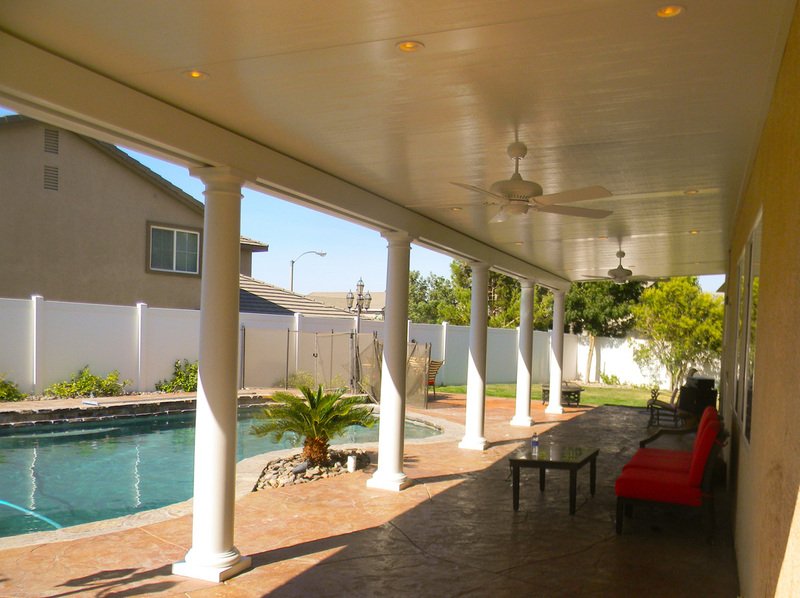 We can add electrical lighting, ceiling fans and even recessed lighting that help to provide an unlimited amounts of options for your space. 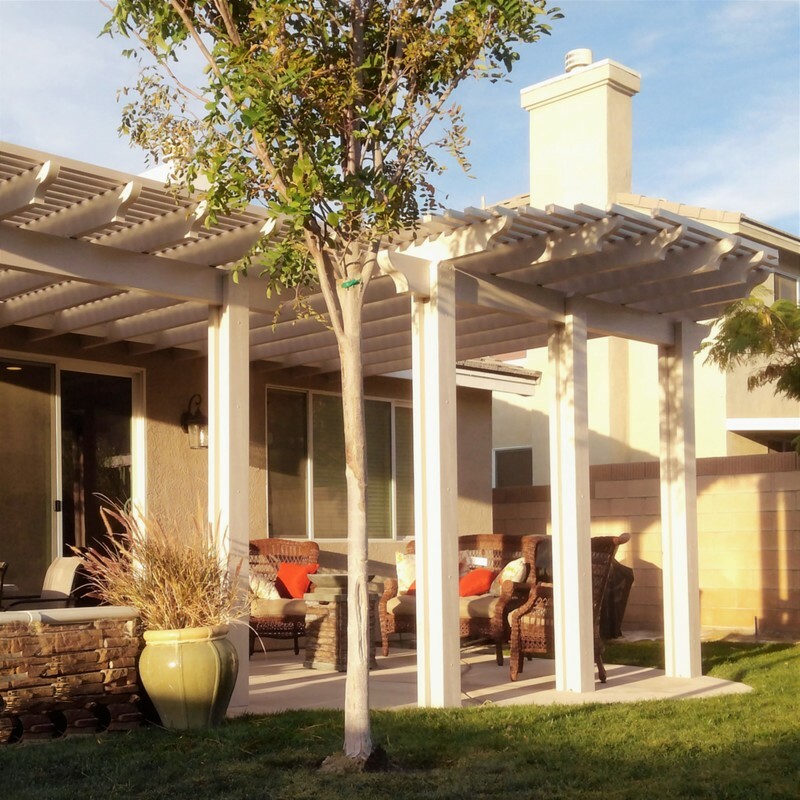 ​​ Our lattice style patio covers and pergolas offer an incredible amount of options to design exactly the look you are after. 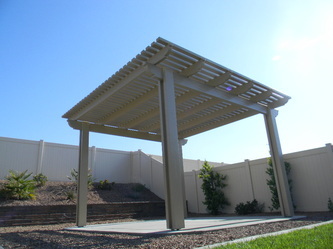 Whether it is a basic lattice cover or a freestanding pergola with roman columns and a rounded canopy, we can help. 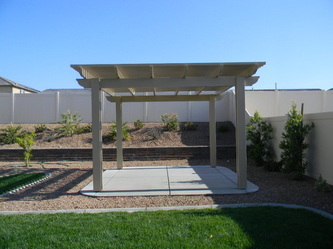 JNR Home Improvements can help you design a combination patio cover that brings in the best of all we have to offer. 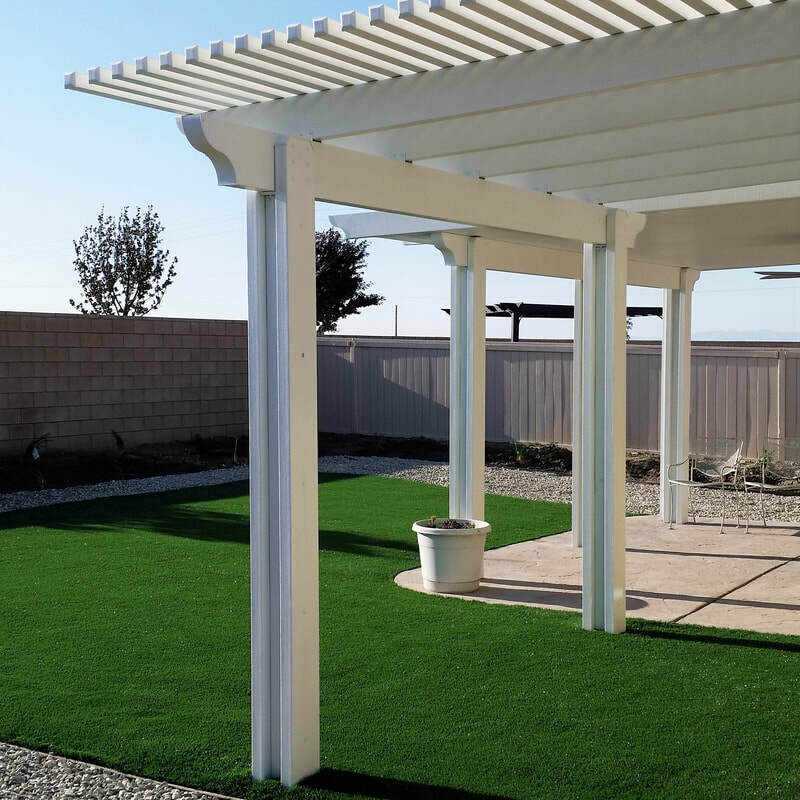 We can build your outdoor space cover to provide fully insulated protection from the sun over the door which leads onto the patio while allowing filtered, natural light into your kitchen or family room. 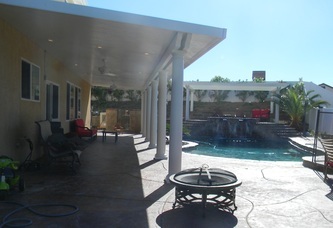 ​Our custom designed patio enclosures are a beautiful alternative to traditional room additions. 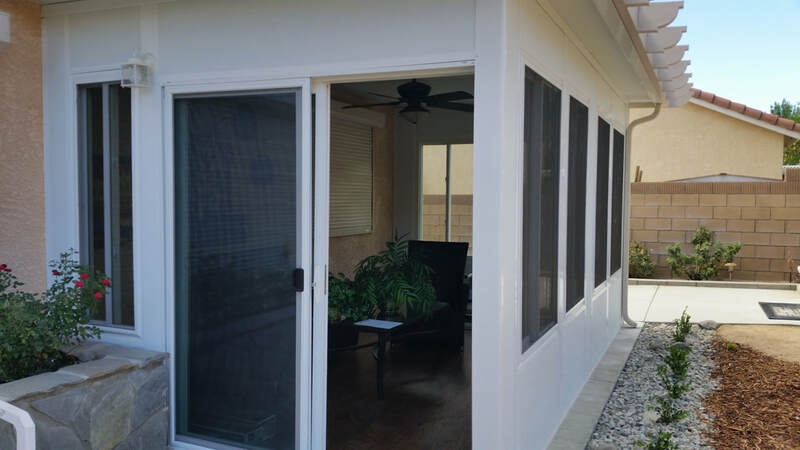 With our sunrooms you can add the extra space to seamlessly blend the inside and outdoors. 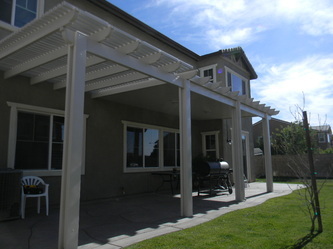 Enjoy sitting on your patio while completely blocking the wind with energy efficient windows. Or, add a desk and have the home office you've always wanted. 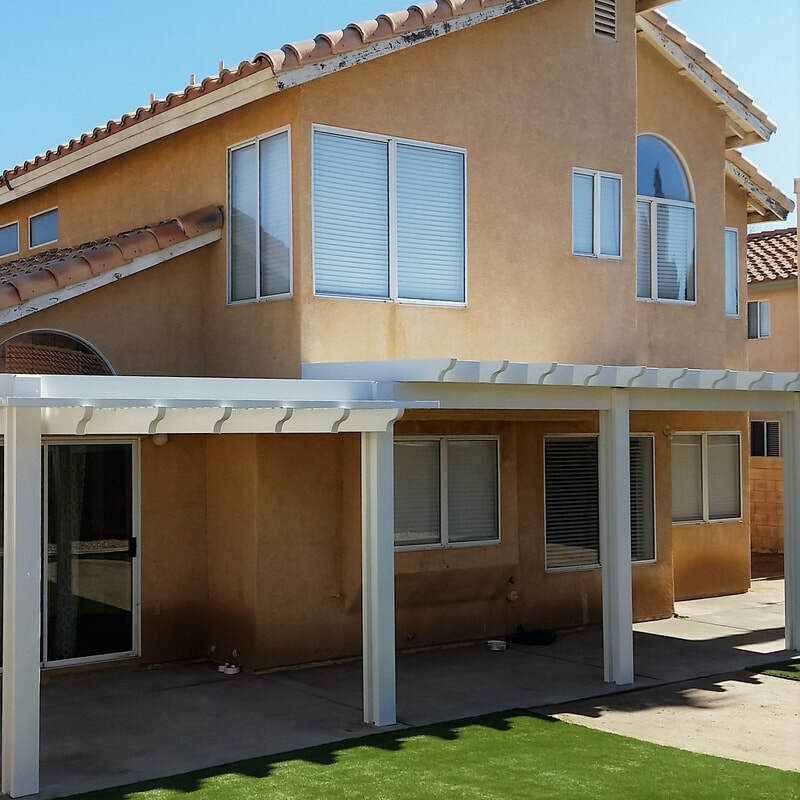 By offering a wide wide array of color, style and door options as well as varying levels of insulation, we can help you create a room that fits your needs. We can also create a screen room enclosure so you can have all the shade and outdoor breeze without any of the uninvited guests flying around your outdoor space. 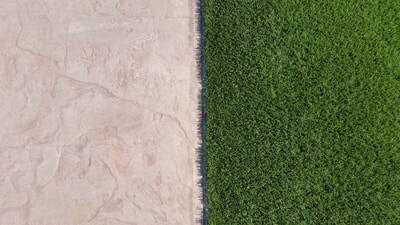 ​ JNR Home Improvements can design and build your patio from the ground up. 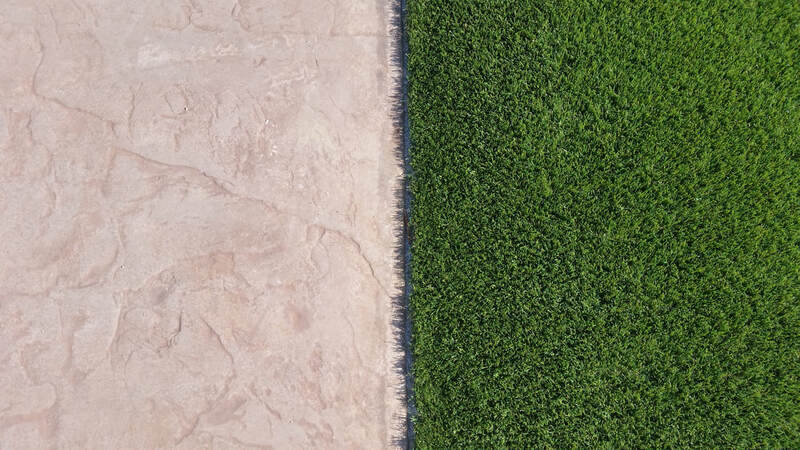 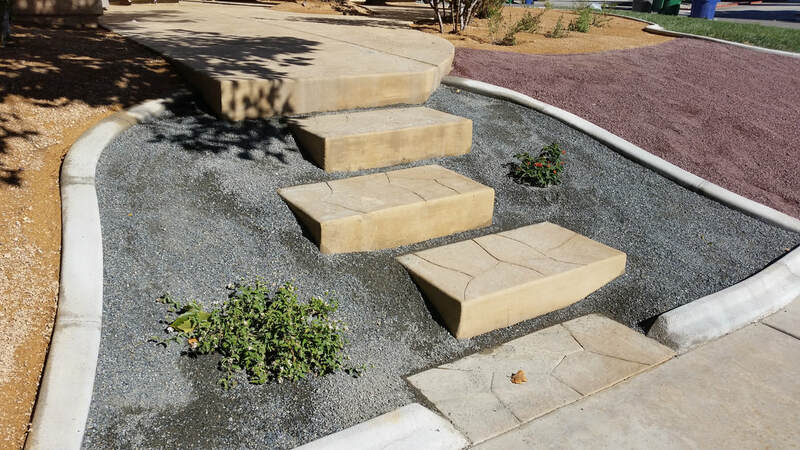 With expert concrete finishers and decades of experience, we love to bring the hardscape portion of your design to life. Standard gray concrete, stamped with color or interlocking concrete paving stones are all part of our repertoire. 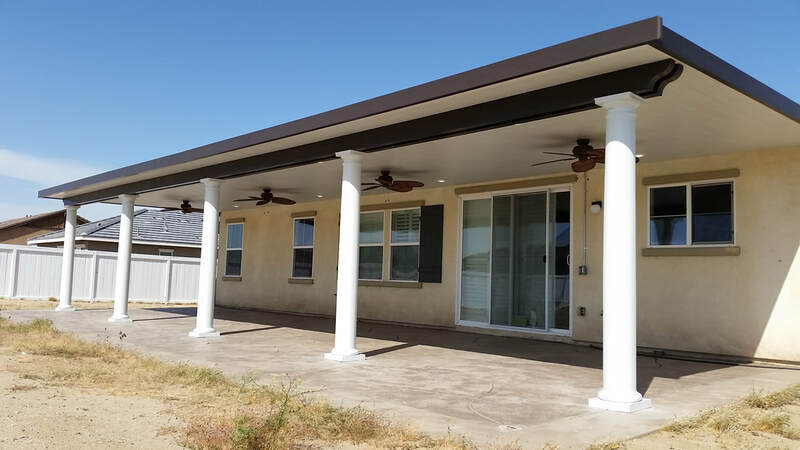 You'll feel more comfortable knowing one, licensed, insured and bonded CA general building contractor is taking care of the whole process, start to finish. 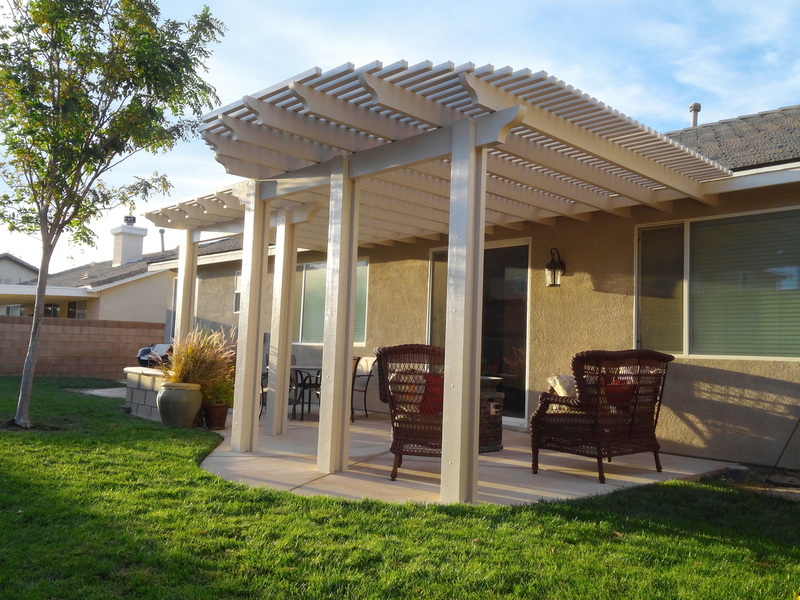 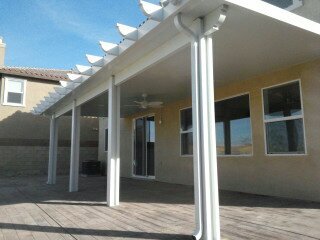 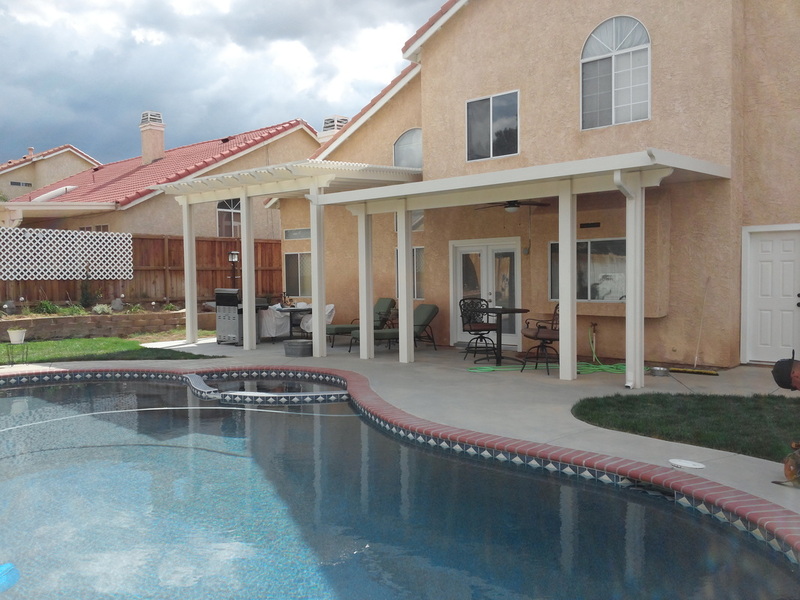 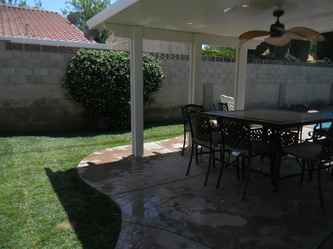 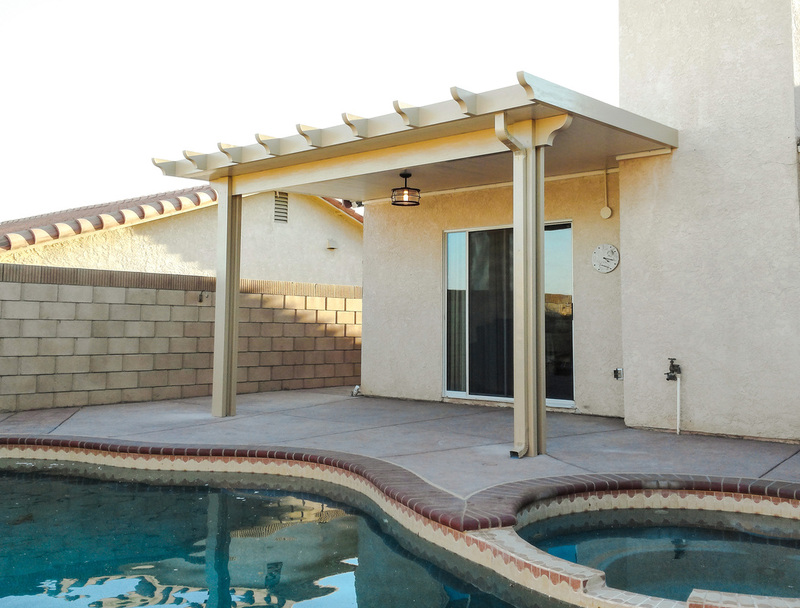 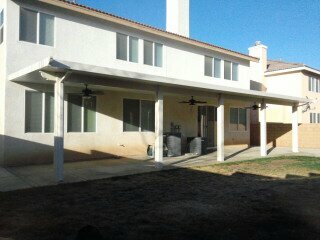 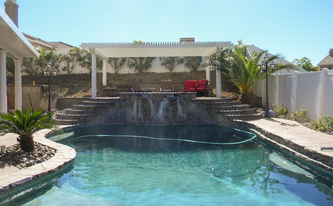 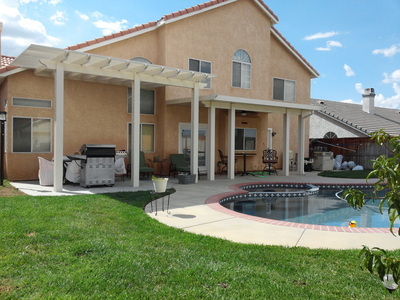 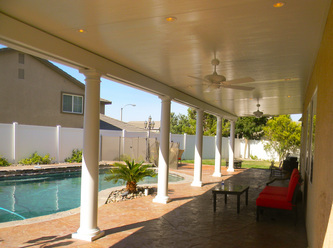 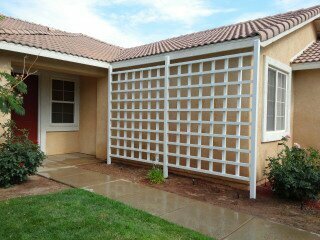 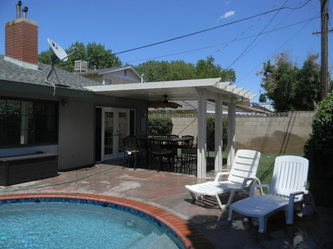 From Lancaster and Palmdale to Santa Clarita and Valencia, we are the top choice for low maintenance patio covers. 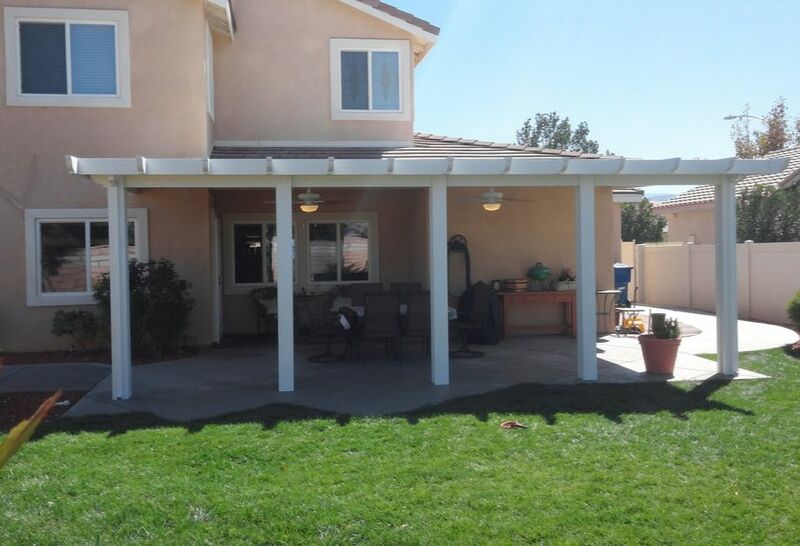 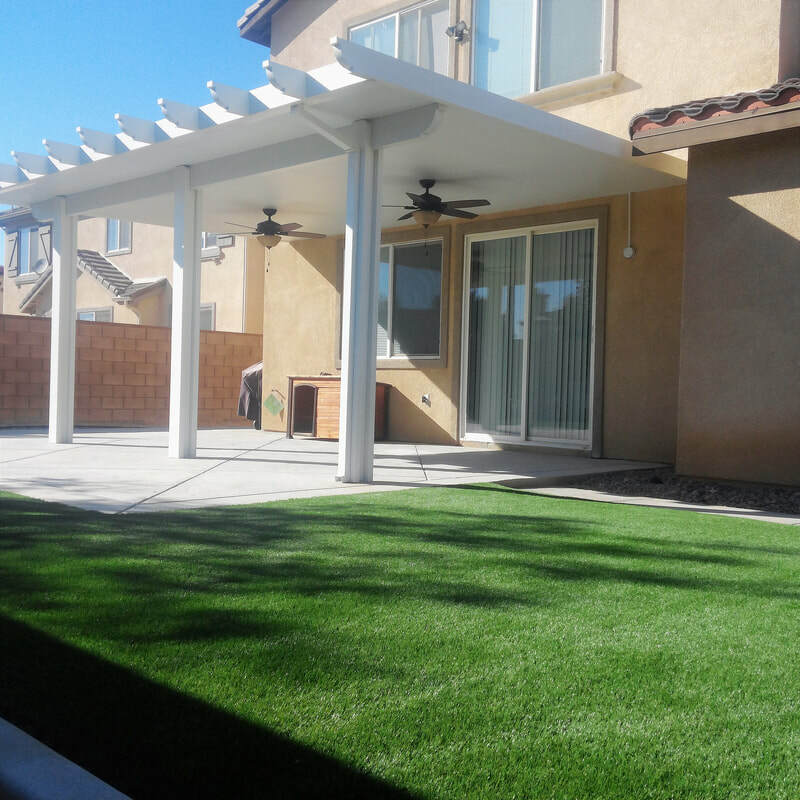 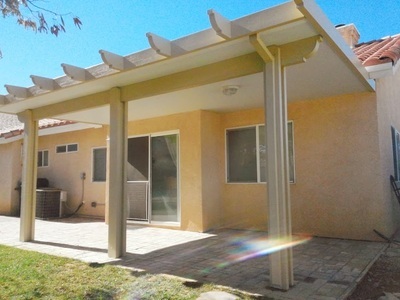 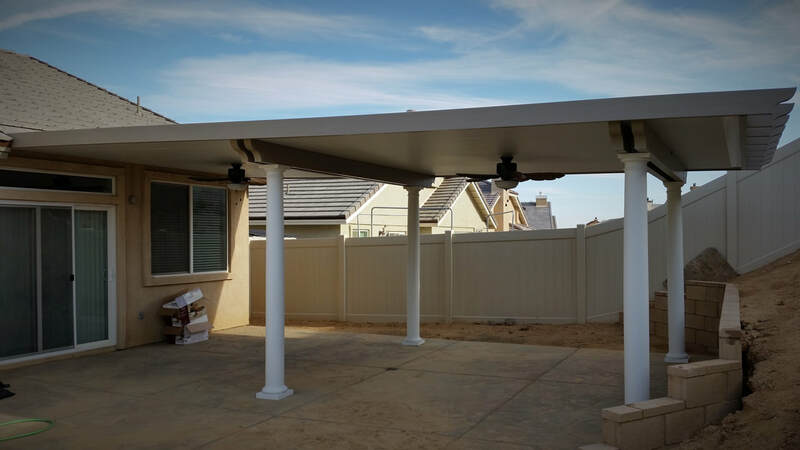 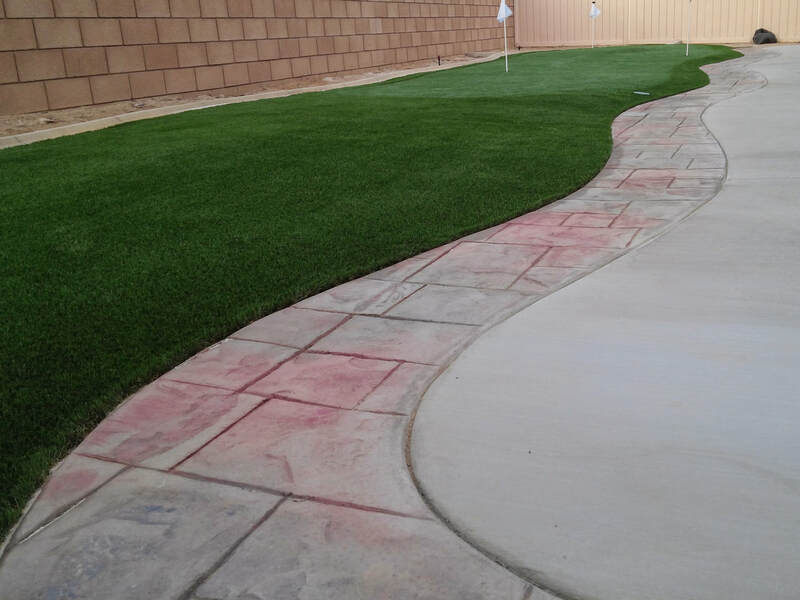 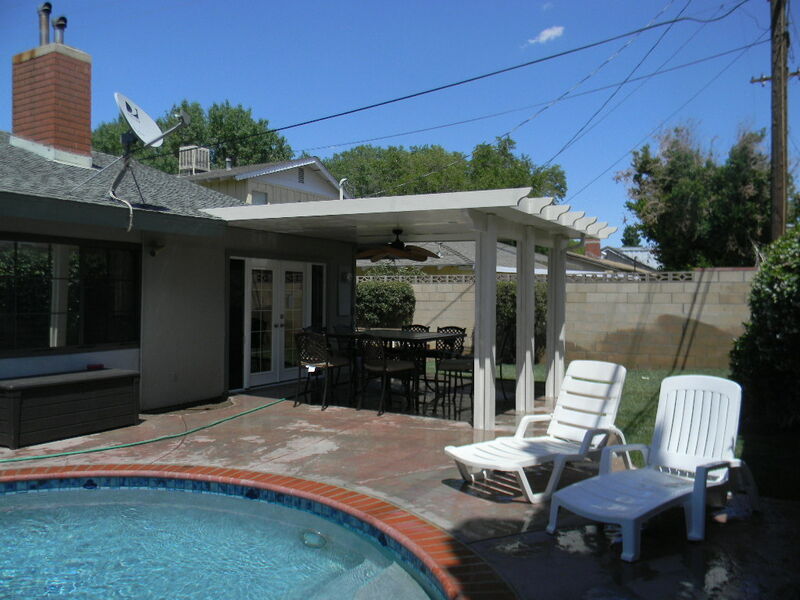 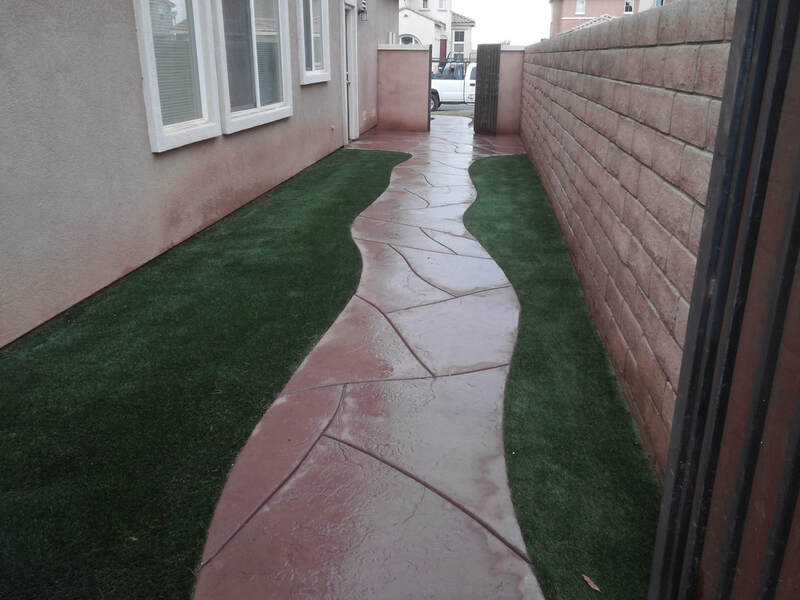 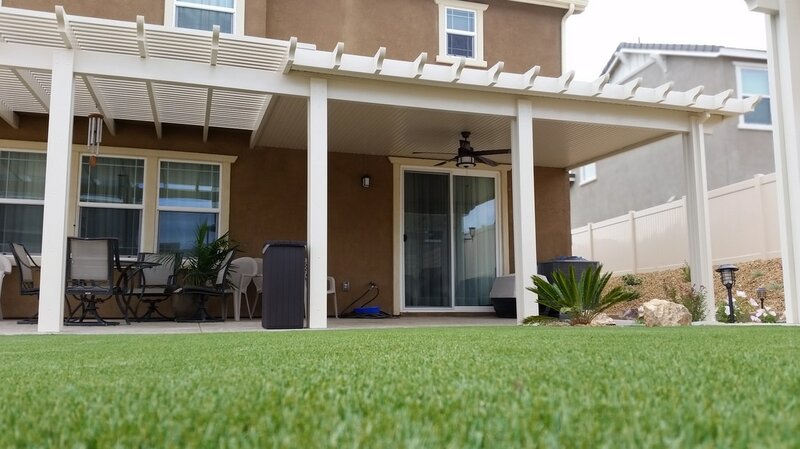 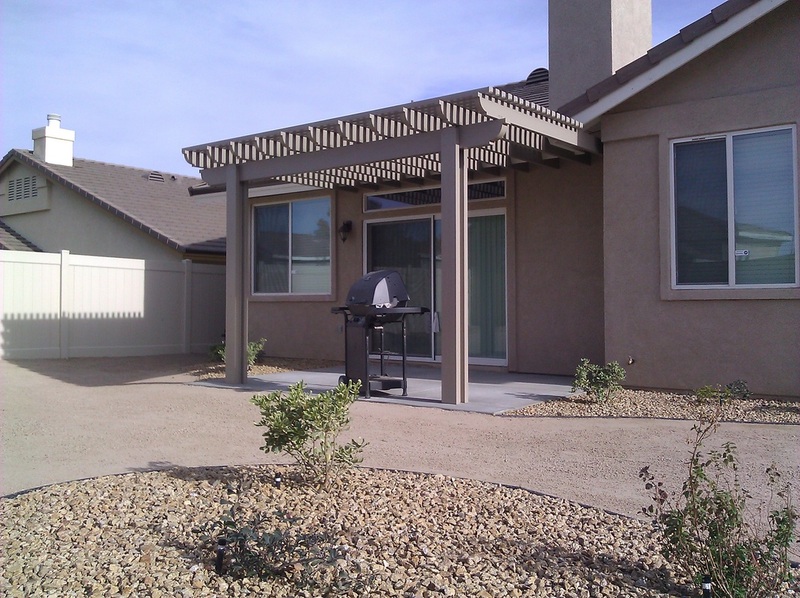 JNR Home Improvements is familiar with the Antelope Valley, Santa Clarita Valley, Victor Valley and surrounding High Desert needs when engineering our patio covers. Our aluminum shade structures are specifically engineered and City approved to withstand our persistent wind AND to carry snow. We take great pride in understanding this area and how to build for our unique weather. 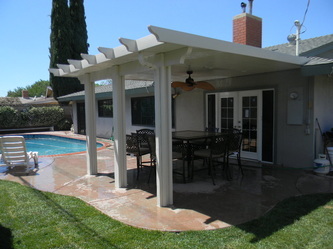 We will also handle obtaining all necessary building permits and schedule City inspections. This short video showcases our design concept drawing capabilities. JNR Home Improvements can help you visualize you yards design before any work begins. 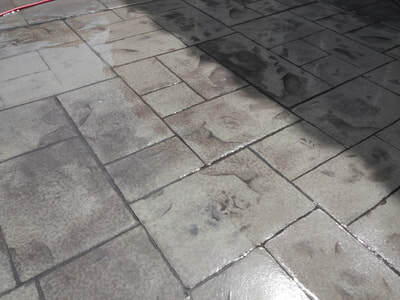 In this video compare our state of the art concept drawing to the completed job from multiple angles.